It took MPs over eight hours to discuss Over 900 amendments. 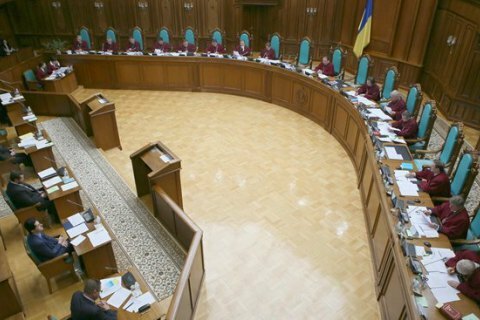 Parliament has rejected the new wording of the Law "On the Constitutional Court". There were 179 MPs who supported bill No 5336-1 as a whole, the required minimum being 226. Speaker Andriy Parubiy made four attempts to send the bill to the committee to be worked out, though in vain. Thus the bill is considered rejected. It took MPs over eight hours to consider over 900 amendments to the bill. Most complaints to the bill were made by Fatherland MPs who were unhappy about a proposal to pay Constitutional Court judges a salary of around 200,000 hryvnyas (7,430 dollars). They also objected to the appointment and dismissal of an ombudsperson by secret ballot. If adopted, the bill would change the structure, powers and selection procedure of the Constitutional Court.